Sales invoices may be created for contract assembly marks and/or free inventory sales of steel and non-steel items, the sales invoicing module displays the production status of all contract marks enabling invoices to be created at a certain production stage or milestone. 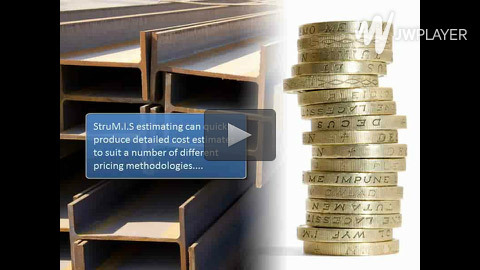 Sales invoice values are exported to the Budget module for cost comparison to expenditure. Built in transaction interfaces for common tasks such as scheduled backups and timed exports to third party account software. All invoiced contract marks are displayed on the 3D viewer offering a real time visual representation of which marks and how much of the contract is invoiced. "We needed a system that was adaptable and open with our back office systems, but that was also flexible to our business demands. Quite simply, we found that STRUMIS is the only system on the market to deliver to our requirements. STRUMIS LTD have shown to us in the selection process, that they have the domain knowledge we need to help support this flag ship facility. We very much look forward to making the implementation a successful one and deploying further in other Baosteel facilities." Sales invoices automatically created at milestones along the contract. Sales invoices created at defined production stages. Real-time comparison of budget to expenditure to sales for profitability visibility. 3D visual of project production marks and invoices to date.